He mainly dealt with the textile and metallurgical sectors, with the introduction of the steam engine in the second half of the 18th century. It started from 1870 with the introduction of electricity, chemicals and oil. It refers normally to the effects of the massive introduction of electronics, telecommunications and information technology in industry as the third industrial revolution, which was started around 1950. Also known as the digital revolution, it coincides with the transition from mechanics, electrical and analog technologies to digital technology, linked to the birth of computers, robots, the first spacecraft and satellites. 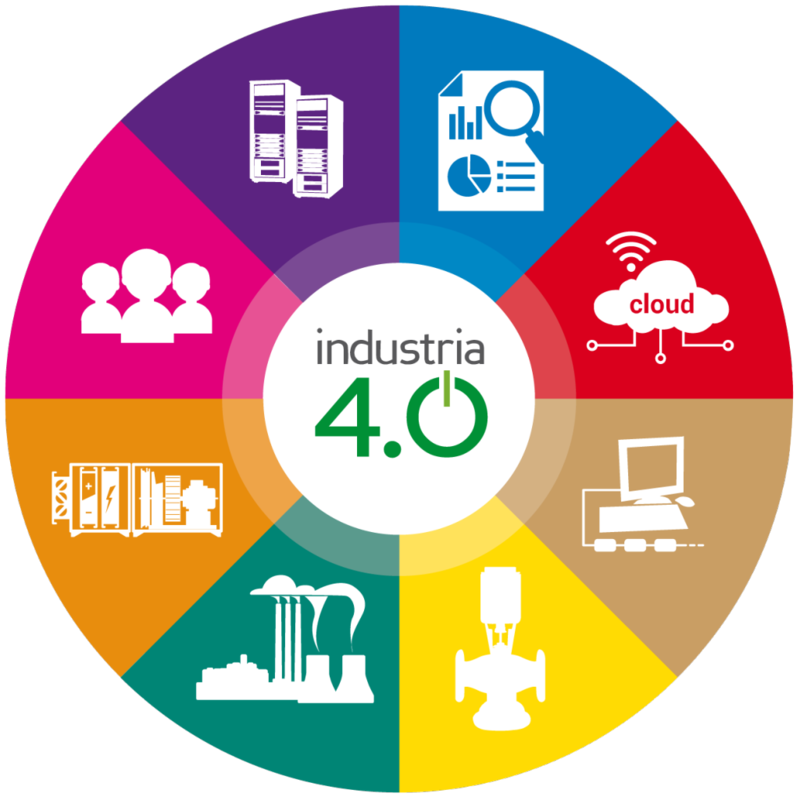 Known as “Factory 4.0” or “Business 4.0”, it owes its name to a 2011 initiative by large companies and research centers with the aim of increasing the competitiveness of manufacturing industries, through the growing integration of “cyber-physical systems” (as know as CPS), in industrial processes. CRIOTHERM ZETA PLUS, always watching to customer requests and constantly looking for new technological solutions, has already integrated into its Professional systems all the features necessary to comply with the 4th Industrial Revolution already in place. These features make the CRIOTHERM ZETA PLUS Professional Series systems fully compliant with the provisions of MISE in the Italian Industry 4.0 Plan. Connectivity: All the steps in the value chain through which the product/service takes shape are interconnected with the Internet, with the company LAN and with the new WAN networks for sensors and IoT. Reduce production time and costs. Big Data: The continuous acquisition, processing and analysis of data collected (big data), through sensors, and centralized in the cloud, allow to make the right decisions to revise production processes and to build new business models. Through such a large amount of acquired information it is possible to guarantee the highest quality of processing and the full traceability of the transformation process by constantly checking the costs of air conditioning.